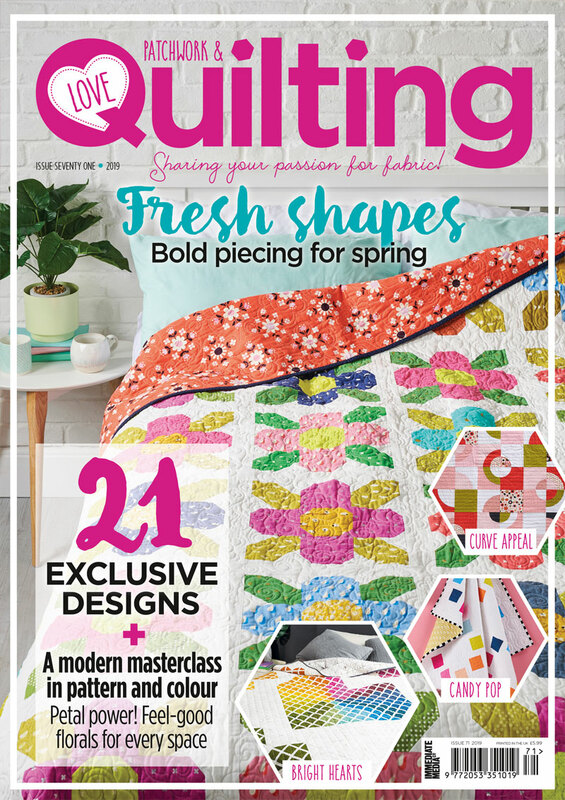 Raise your hand if you’ve ever been a little daunted by the thought of having to bind your quilt?! 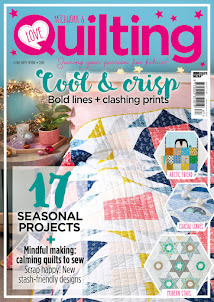 I know this is a stumbling block for many fellow quilters. A point in the journey that is dreaded by many. I’ve actually come to LOVE this step. 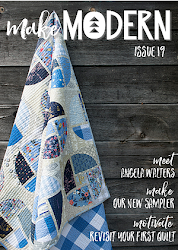 And I hand bind all of my quilts. I’ll confess, it was a rocky start. 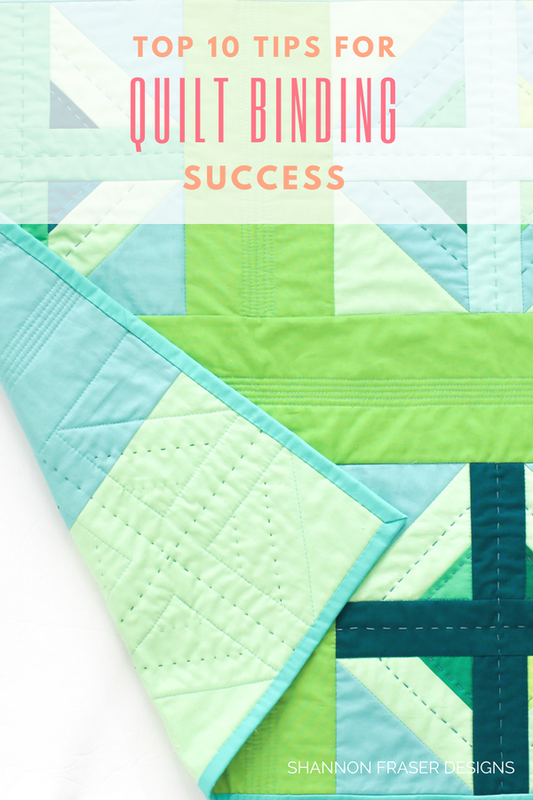 This wasn’t always the case and looking at the binding job I did on my first quilt I can attest to having less than stellar results in the beginning. My corners did not make perfect 45-degree angles. And my blind stitches were anything but invisible! 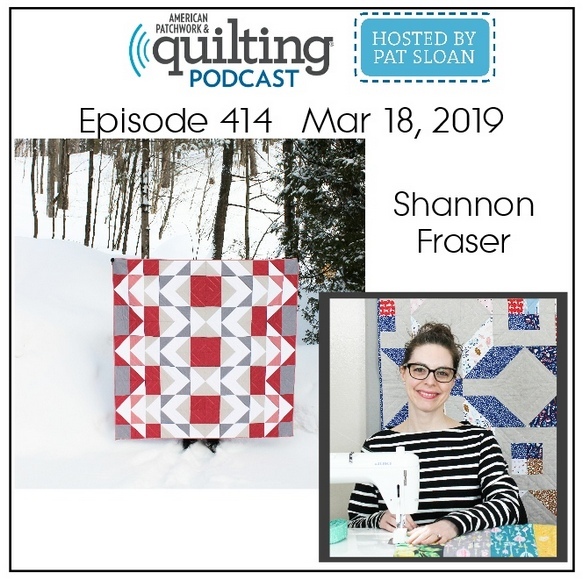 I can even recall asking a fellow Montreal Modern Quilt Guild member how they did their binding because my stitches were always on a slant. 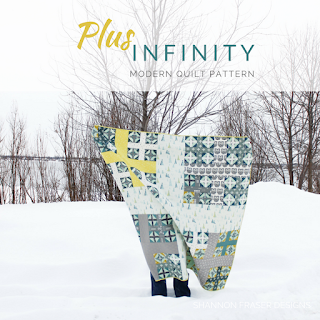 This is the Plus Infinity Mini Quilt Pattern - get it here. 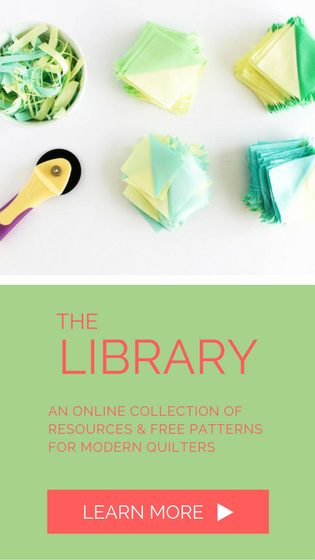 So, after scouring blog posts and watching binding videos and asking several more quilty friends for their techniques, I’ve now figured out my own approach that works for me. And I hope it works for you too!! 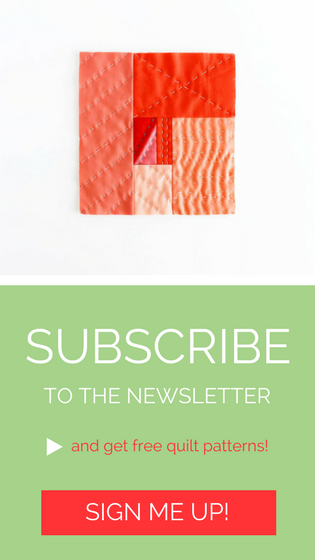 Read on for ALL my tips and tricks to help you on your way to quilt binding success! There are two types of binding – straight grain and bias – I’m going to walk you through the straight grain approach. The only difference between the two is – you guessed it – one is cut on the grain and the other is cut on the bias. 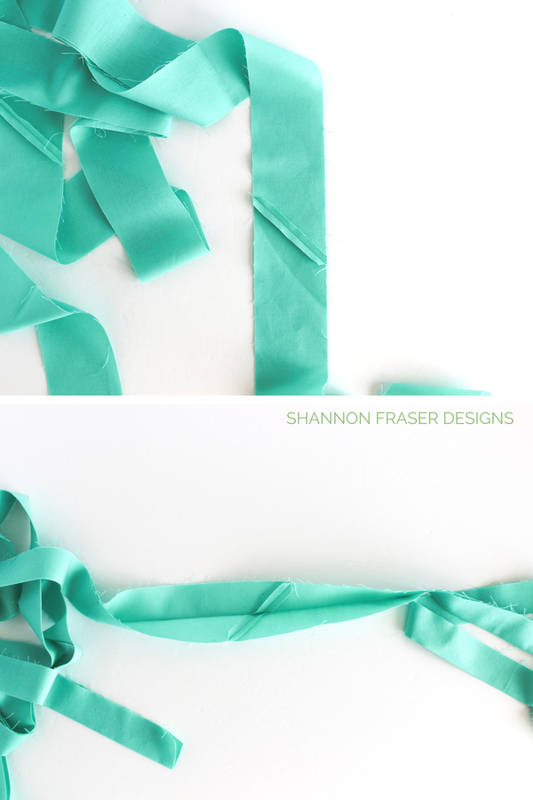 The latter is perfect, and a must, if you are looking to bind anything with curves. 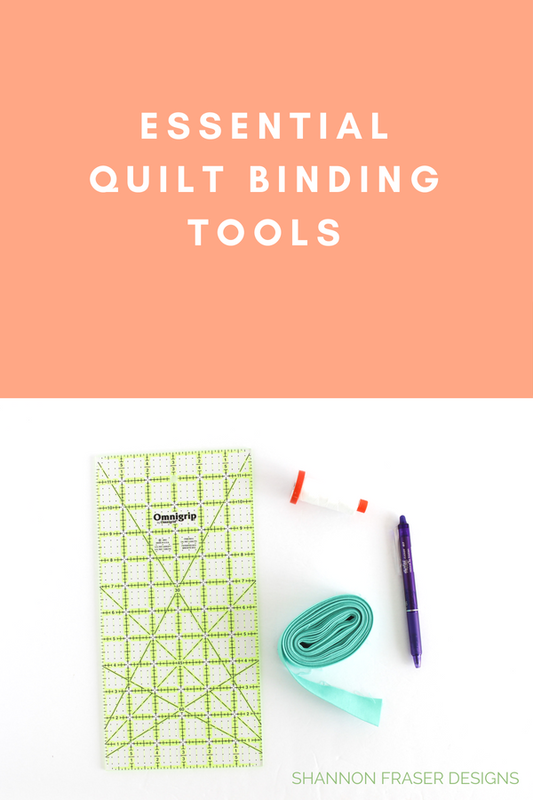 Otherwise, the straight grain binding will work like a charm on your straight edge quilts. Now that you have your tools ready, let's dive in! 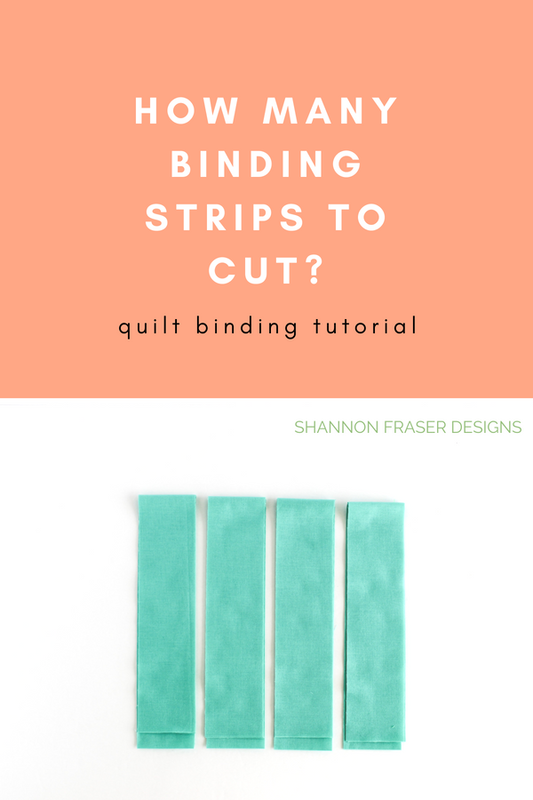 HOW MANY BINDING STRIPS TO CUT? 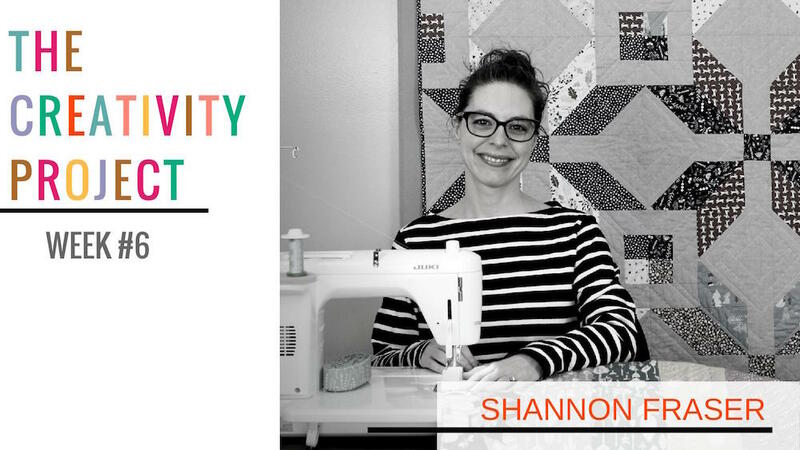 First up is cutting your fabric. 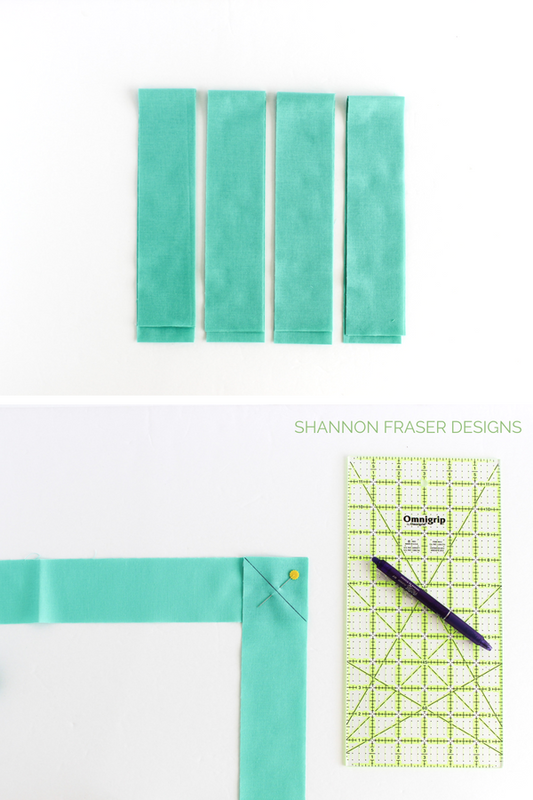 Always start with a straight edge and then cut strips 2 ½" wide. Most quilters go for 2 ¼", but I like seeing a good amount of the binding on the back side of my quilts. There really is no right or wrong here, just your preference. Whichever width you choose, remember it, because it will become important later on in the binding journey. Now, how to figure out how many strips to cut?! That’s always the question! I always round up, which in this case would be 4. So, I cut 4 strips. That’s it. It has never failed me. If my number would have landed closer to 4, I would have cut 5 strips. Probably not necessary, but I would rather have excess binding than be a few inches short. That would just frustrate the heck out of me, which I want you to avoid as well. So, round up!! 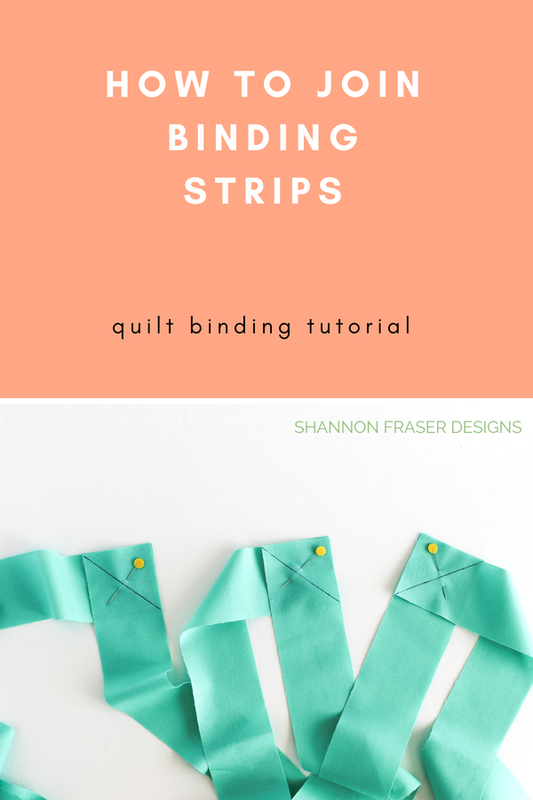 With your binding strips cut, now comes the fun of joining them. I have stumbled here several times. And, in retrospect, it would have been great if I was using a printed fabric to really drive home the importance of placing your fabrics right sides together. 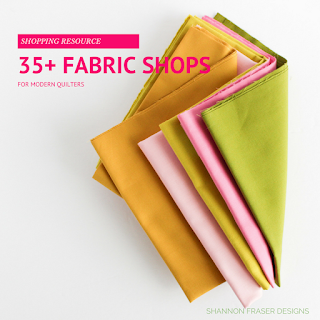 With solids, this isn’t such a big problem, but it is important with printed fabrics. Start by laying your first strip right side up. Lay your next strip right sides down, lining up the corners with the top strip running perpendicular to the bottom horizontal strip. Draw a diagonal line from the top left corner to the bottom right corner. Pin in place so it doesn’t move around on you. You want to flip the top strip that you just pinned so you have the right side facing up. Make sure you don’t get it all twisted. You want to leave everything pinned together and just flip the loose end in preparation for attaching the next strip. This will allow you to chain piece everything at once. If you’re worried about making a mistake, you can always attach one at a time until you get the feel for it. But, I like to chain piece whenever I can and binding is no exception! You’re now ready to attach the next strip by placing it right side facing down. Draw a diagonal line (this is my fave). And pin in place. Keep doing this until you have all your strips marked and pinned. 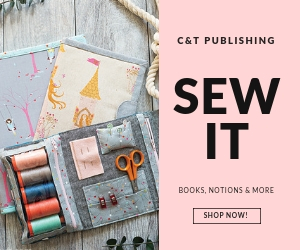 Tip – I’ve learned to double check I’ve pinned everything correctly by passing my hand from one end to the other, making sure that the correct side of the fabric continues at each joining. This avoid lots of unpicking, trust me! Let’s take it to the sewing machine! This step goes nice and quick. 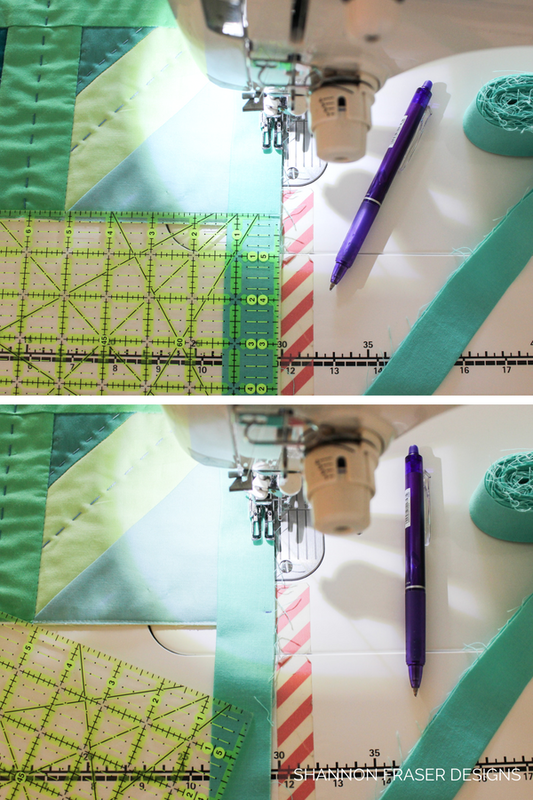 Working with a 2.0 stitch length, or whatever stitch length you use for piecing, stitch directly on your marked line. 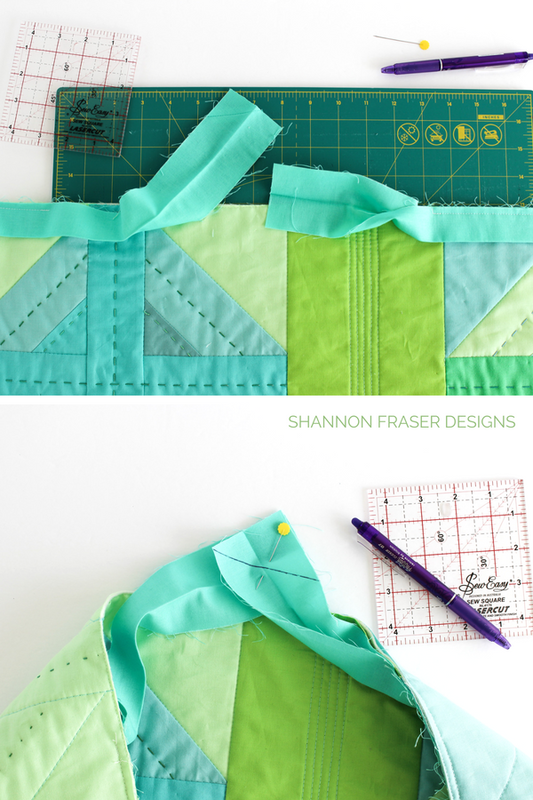 Continue stitching each line until all of your binding strips are attached. Before trimming your corners, I recommend double checking to make sure all of your binding strips are facing the correct way. 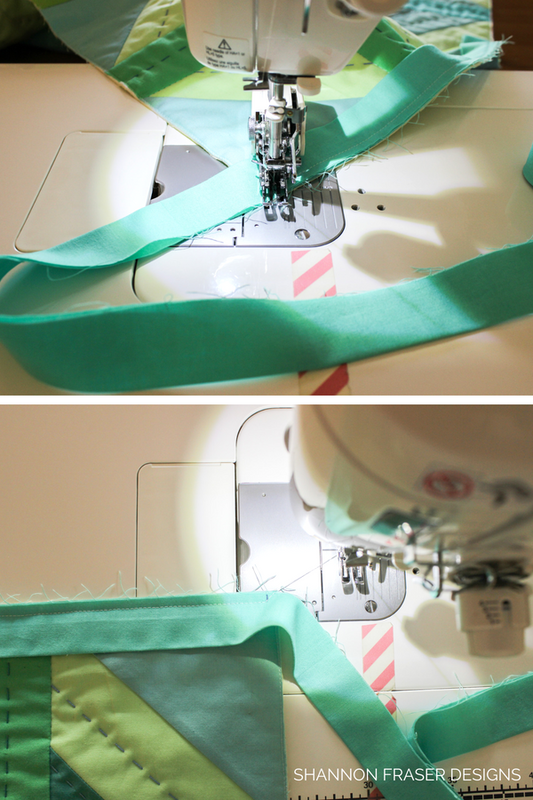 Once you’re sure they are attached correctly, trim each corner a ¼" from your stitched line. Let’s take it to the ironing board!! Start by pressing your seams open (here’s the one I use). This will help reduce bulk in your binding and make for a smoother and less lumpy finish. Starting at one end, iron your binding strip in half wrong sides facing each other. Continue the entire length of your binding strip. Once ironed in half, I like to roll it around my hand so it keeps nice and tidy until I’m ready to attach it to the quilt. 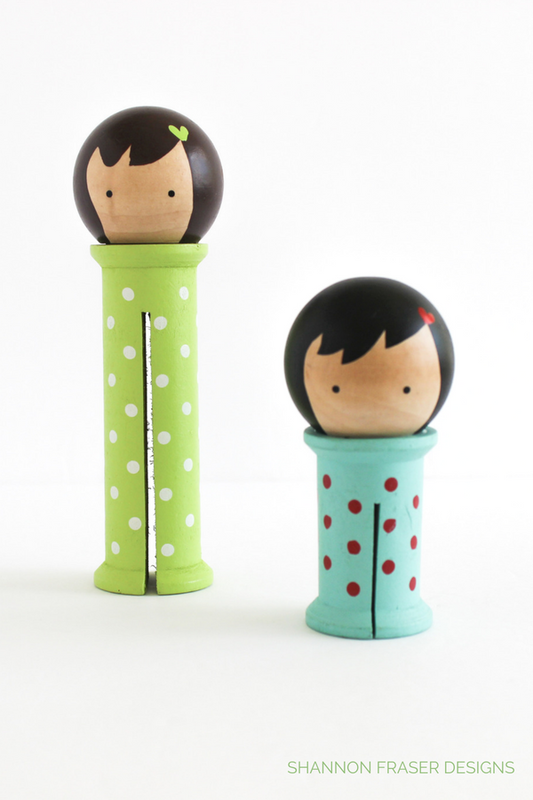 You don’t have to use your hand, I’ve seen people use clothing pins and even these cute little binding Weeble people (remember those? My little brother played with them all the time!!). Ha, that’s what they make me think of. But they’re actually called Binding Babies and can be found here. 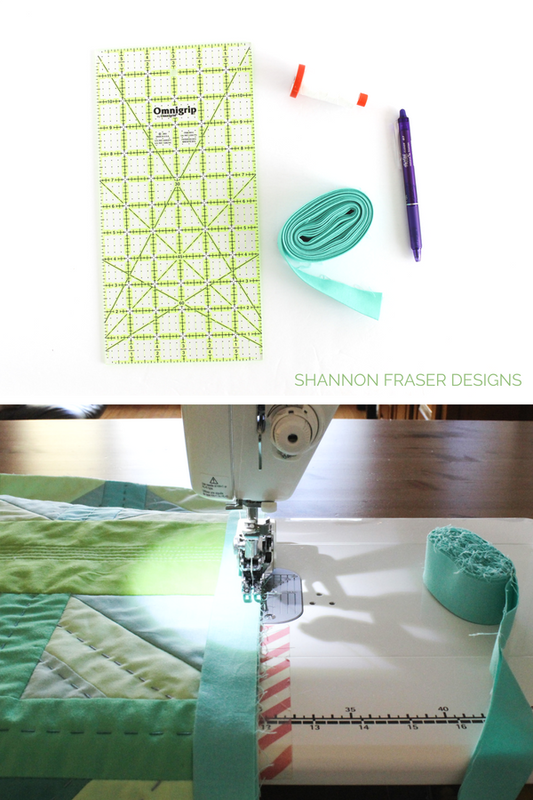 Now comes the fun part of attaching your binding to your quilt. Since I hand bind my quilts, I always start by attaching the binding by machine to the front side of my quilt. 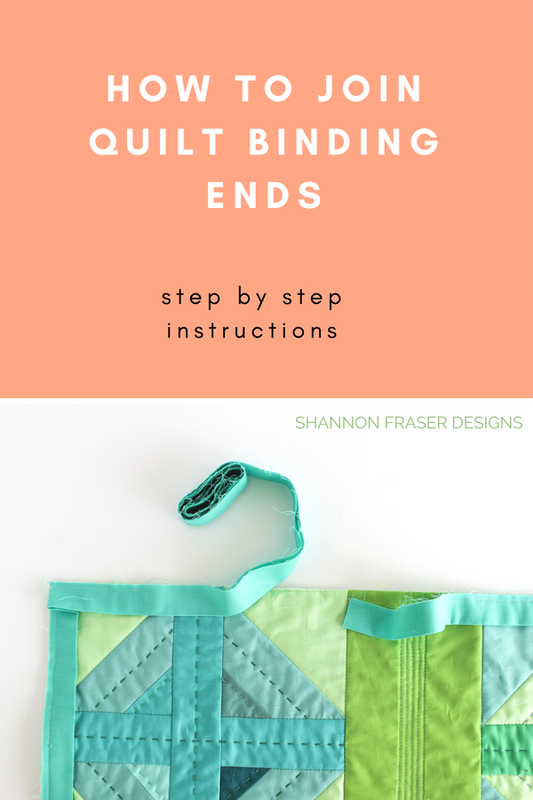 My experience with machine binding start to finish is limited, but I believe you would start by attaching it to the back and then finish on the front (although, I’ve seen it done both ways). I heard somewhere that the eye tends to start at the top left corner and move down towards the bottom right corner. So, I always start attaching my binding at the mid-point on the left side of my quilt. That’s just preference, though, and not a hard-set rule. 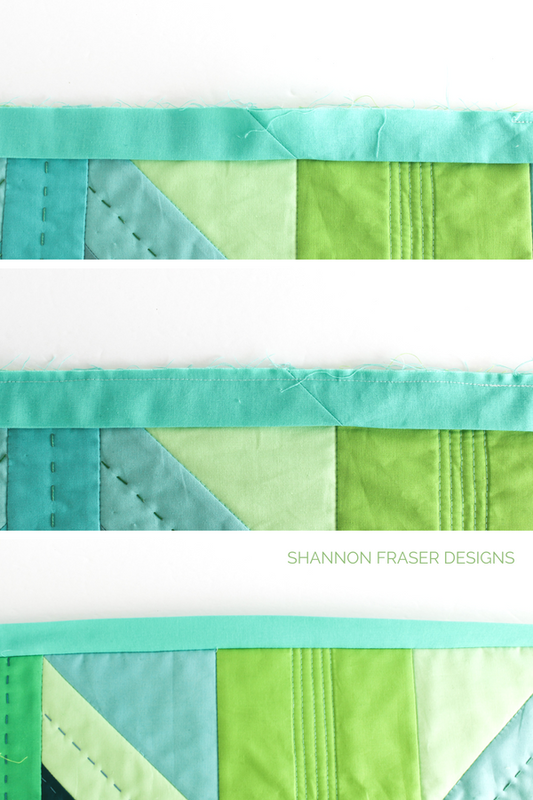 Place the raw edges of your binding lined up along the raw edge of your quilt. Leave a good 7 to 10 inches of binding loose and, using your walking foot, take a couple of stitches a ¼" away from the edge and then back stitch a few times to secure it all in place. 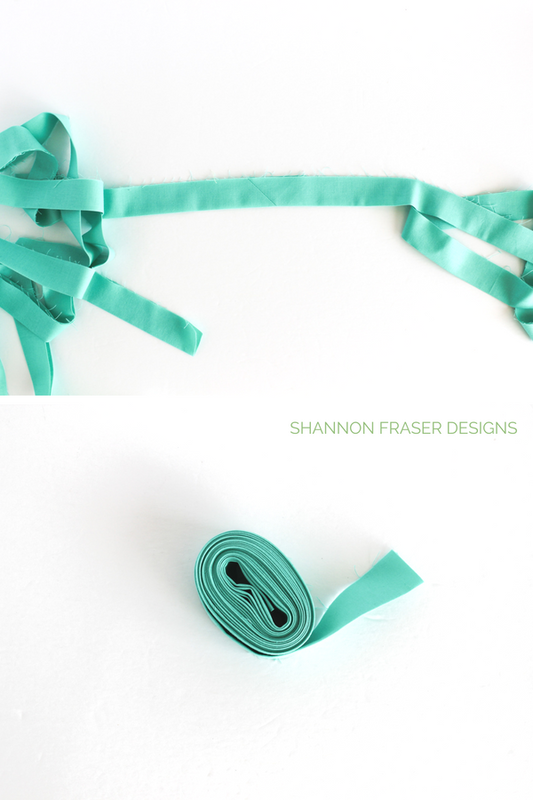 The loose binding will be important for a seamless finish, so be sure to leave yourself some wiggle room. More is better than less here. 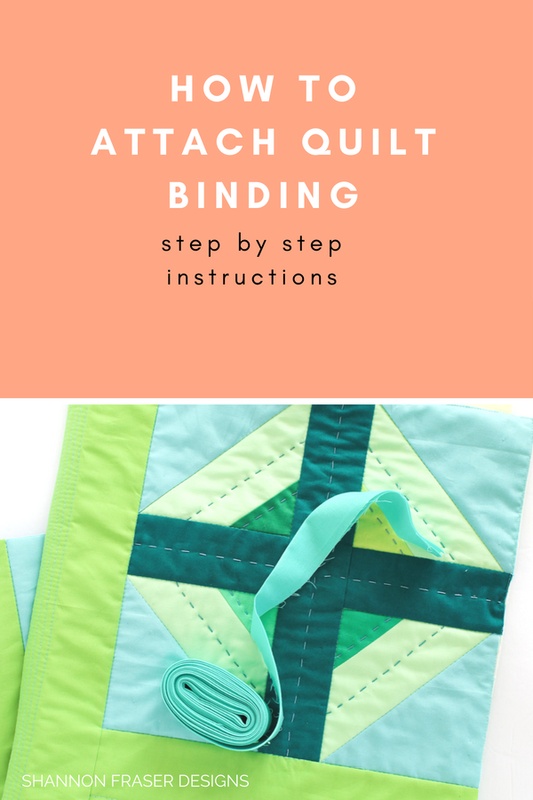 Make sure you also secure your stitches in place because you will be moving the loose binding around and you don’t want all of your stitches to come apart in the process. Continue stitching the binding in place until you get about 3" from your first corner. As you come up to a corner, lay the binding along the edge up to the corner and then, using a ruler and marking pen, mark a line a ¼" in and up from the corners. I do not mark this in advance because fabric shifts. It’s important to do this marking AS you come up to the corner and not before. Stitch up to that line leaving your needle down directly in the marked line. 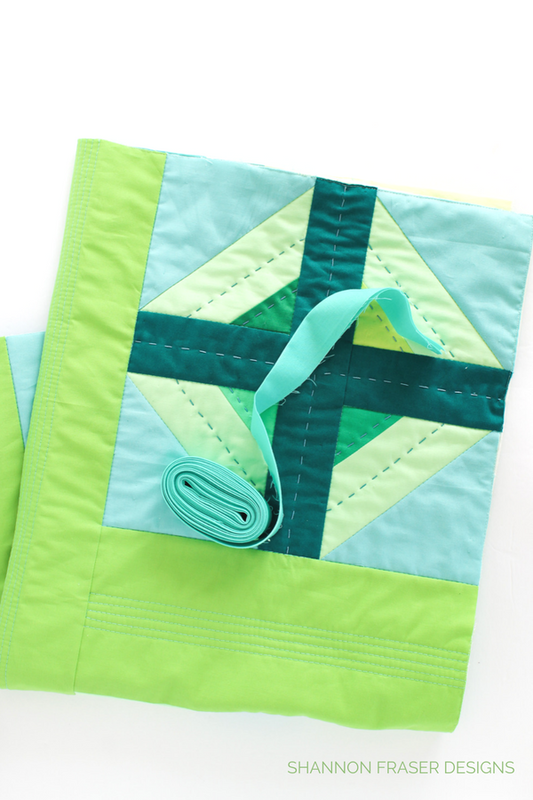 Lift your presser foot and pivot the quilt so that it’s on an angle. 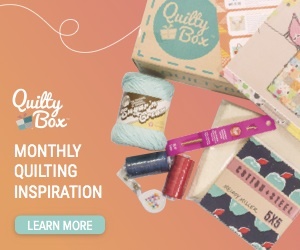 Now stitch directly off the edge/ corner of your quilt. Without cutting your threads, lift your presser foot and swing your quilt around so the next side is lined up and ready to be stitched down. 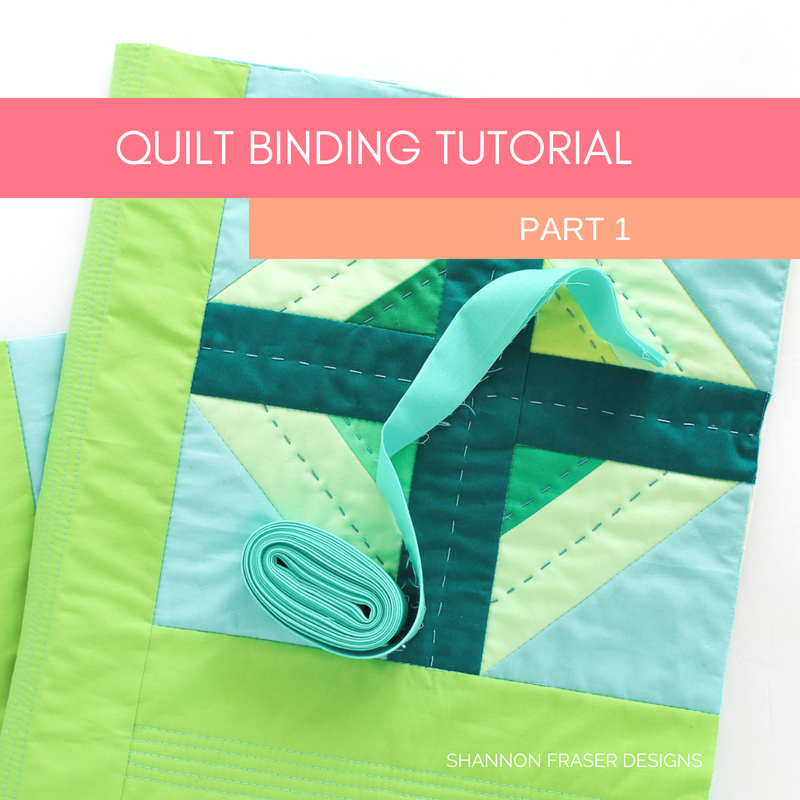 Now, flip your binding straight up over the edge of your quilt, pressing with your fingers to create a bias corner. Then flip the binding back over itself making sure to keep that bias crease you created in place. Line the binding back up. 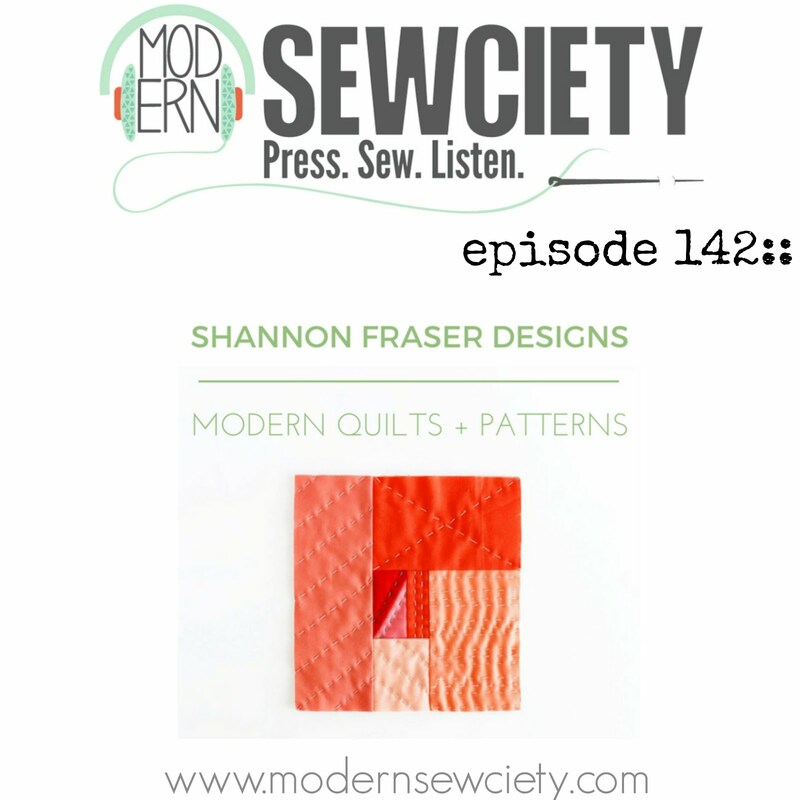 It should line up perfectly with the edge of the bias crease you created and the raw edge of your quilt. Bring it back under the presser foot and stitch ¼" away from the edge, making sure to back stitch at the beginning to keep everything securely in place. Keep going until you reach the next corner and repeat these steps. Once you’ve rounded your last corner, take a few stitches and then back stitch before cutting your threads. Similar to how you started the binding, you want to leave some loose binding to be able to join the two ends. Remember when I said to note the width you cut your binding strips?! It comes in handy here. 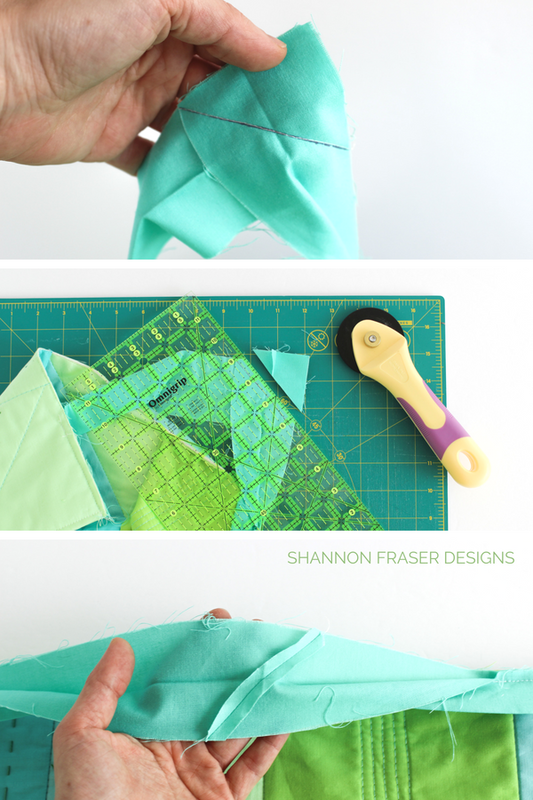 Start by laying the loose binding you started with flat along the raw edge of your quilt. Lay the other end over that binding overlapping by 2 ½". 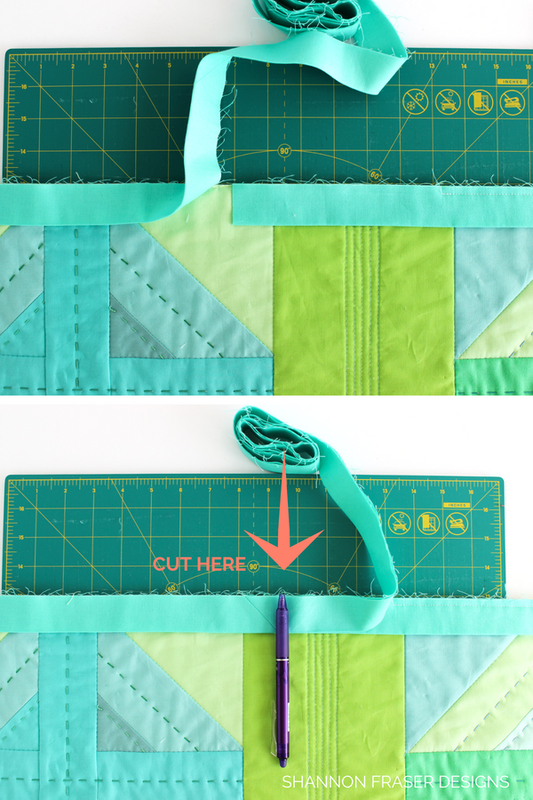 If you cut your binding 2 ¼" you would overlap by 2 ¼". So, whatever width you cut your binding is the same size you want to overlap with. Now cut the TOP binding at the 2 ½" mark (or 2 ¼" if that’s the width of binding your opted for). Starting with the top binding end, open it up so that the right side of the fabric is facing up. Take the other binding end, open it up and lay the right side of the fabric on top of the other binding end. Tip – a great way to remember this is to always have your crease marks facing each other. Just like we did when we joined the strips in the beginning, mark a diagonal line from the top left corner to the bottom right and pin in place. 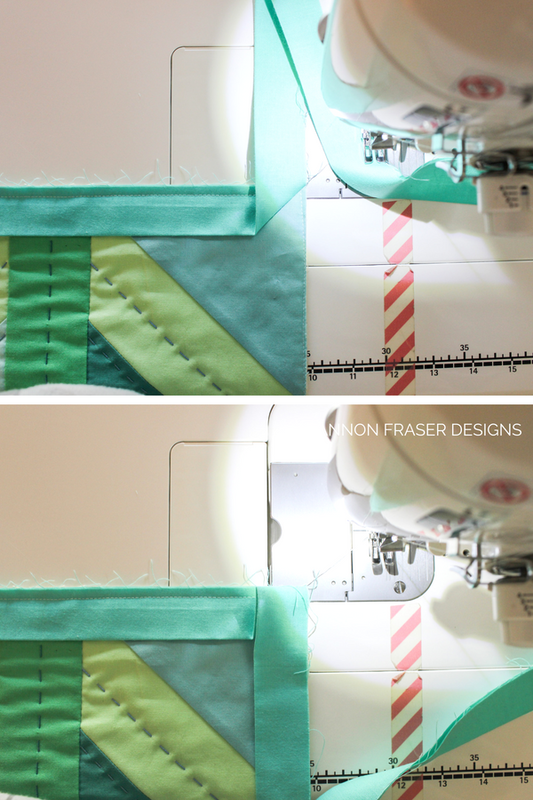 Take it to your machine and stitch directly on the marked line, joining the two ends. This is where you will be happy to have a little extra wiggle room. If you didn’t leave enough loose binding it will be really tough to get it positioned flat for stitching. Trust me, I’ve been there and had to unpick stitches, ugh. Once stitched together, smooth it back in place along the edge of your quilt to first make sure you have attached them correctly. And, second, to make sure you have a perfect fit (i.e. 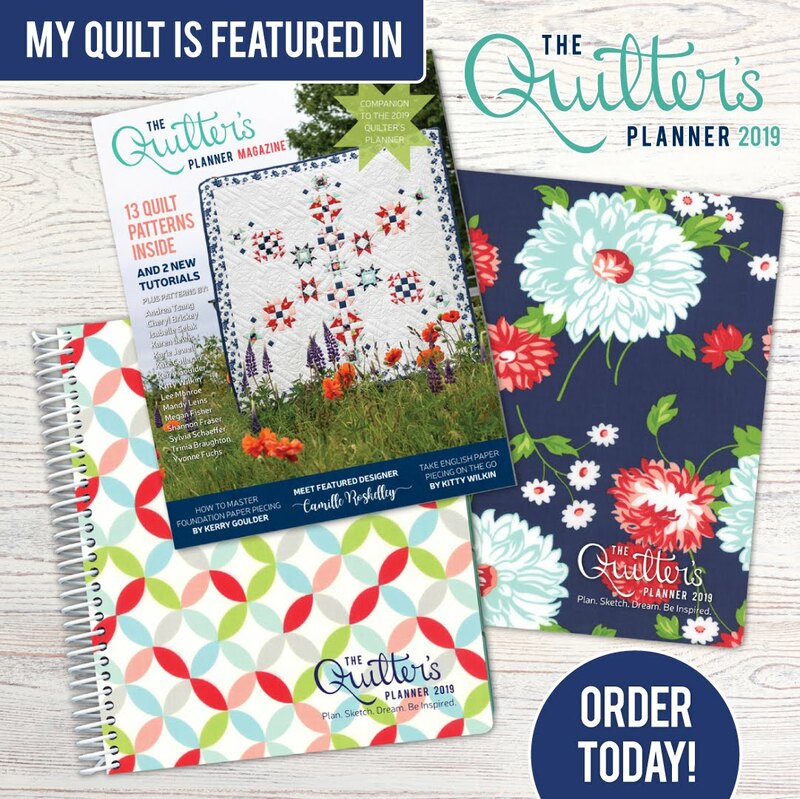 you don’t want it to be too loose or it will pucker when you stitch it down, but you don’t want it to be too short or it will pull on your quilt and bunch it up). Trim the corners ¼” away from your stitched line. Iron the seam open. This will help reduce bulk and provide a seamless finish. Woot woot, you’ve now completed step 1 of binding! 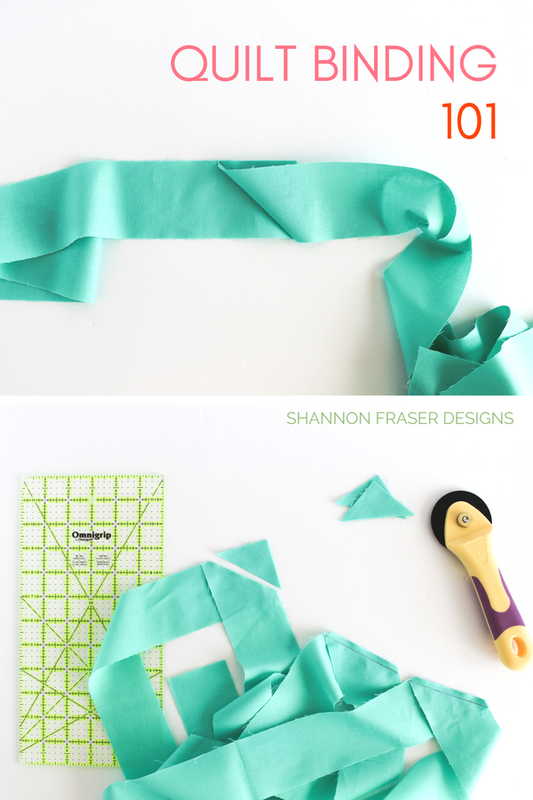 Make it quick and painless by cutting your strips accurately. Always place your strips right sides together (RST). 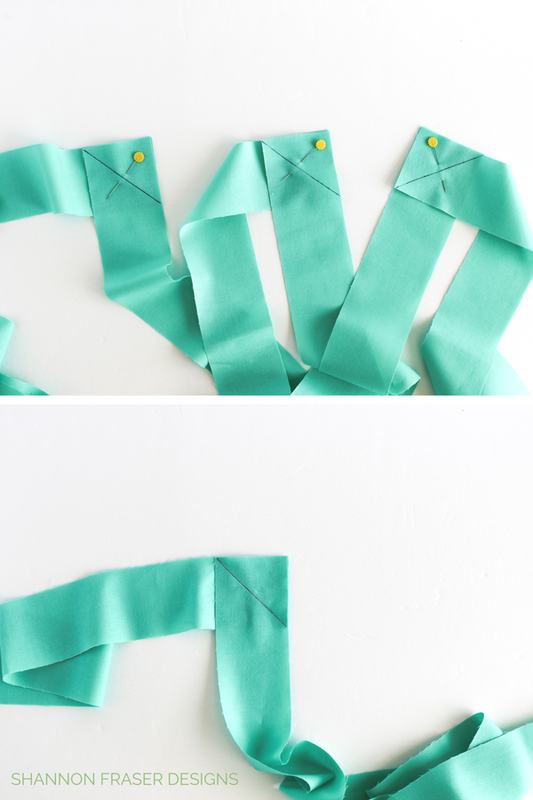 Chain piece your strips together for a quick finish. Before trimming your corners, make sure to double check your strips are all facing the right way. 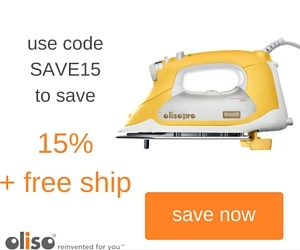 Iron your seams open. I’m normally a press to the dark kind of quilter, but I always press my binding seams open, so they lay nice and flat and it helps reduce the bulk. Leave a nice tail of binding unstitched at the beginning and end. This ensures plenty of wiggle room to join the two ends. Only measure your binding corners as you come up to them, not ahead of time. Remember to stitch off the corners at an angle. For nice crisp corners, finger press the corner seams. Binding ends get overlapped based on the width of your binding. And that rounds up Part 1 of the Quilt Binding Tutorial. Part 2 will focus on how I prepare, and hand stitch the binding to the back of the quilt. This is a fantastic series. Thank you for linking up with the Festival! Wonderful tutorial, thank you for it. Binding still kinda intimidates me somewhat. Those Binding Babies are adorable!